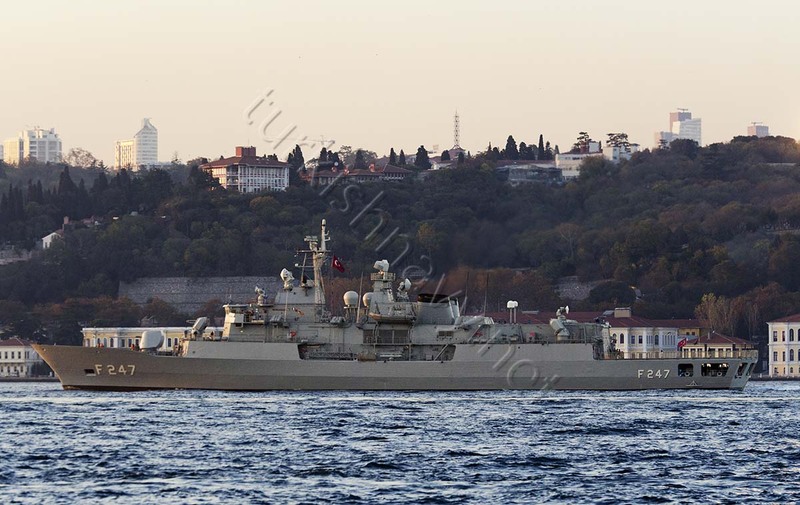 TCG Kemalreis with her new new SMART-S MK2 3D radar. Speed, Range: 32 knots, 4100 miles at 18 kts. 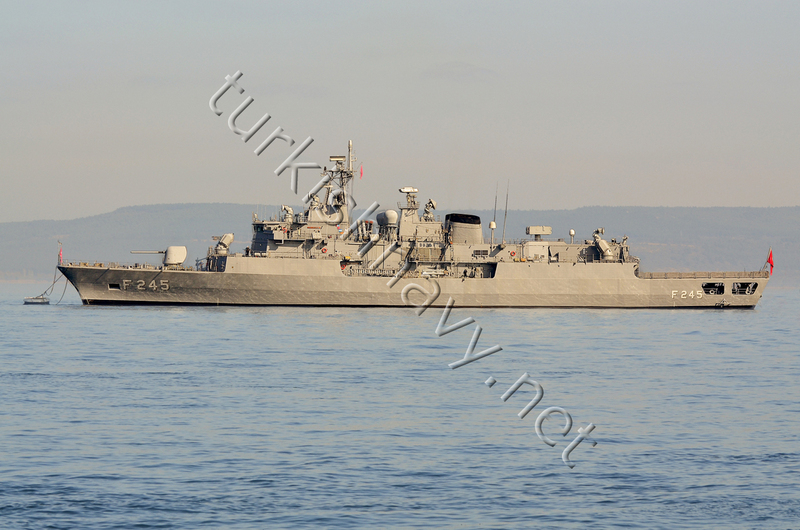 Improved versions of Yavuz class. 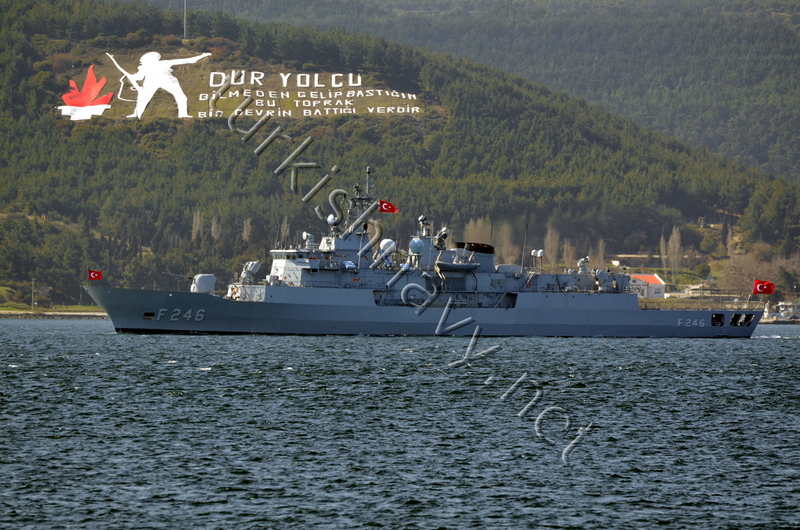 The improvements such as CODOG machinery for higher top speed, are results of the lessons learned from operating Yavuz class. All vital areas of the machinery are protected with Halon 1301 fire fighting system. Most of the ship is protected against NBC by a citadel. The ships have a pre-wash capability against fallout. When delivered the first pair has the standard Mk29 Sea Sparrow launcher whereas the second pair has Mk41 Mod8 VLS for Sea Sparrow. 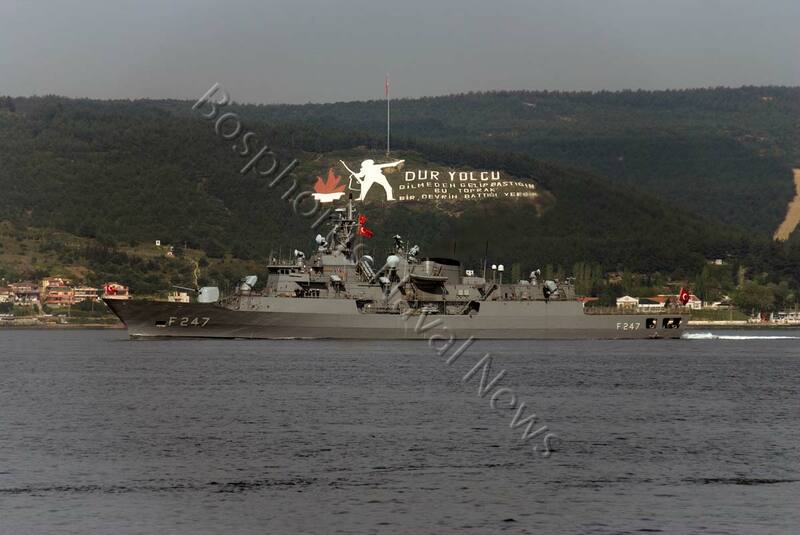 TCG Barbaros and TCG Oruçreis received the new vertical launchers during their overhauls in between 2014 and 2016. The British made AWS 9 3D air search radar was replaced by Dutch made SMART-S Mk2 3D radar. 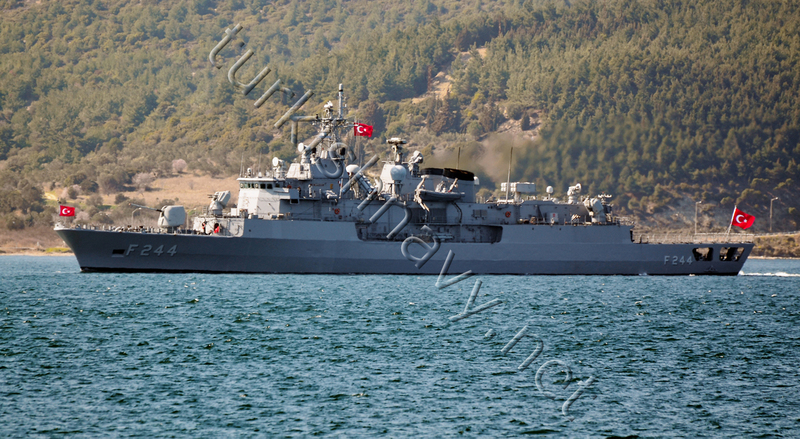 TCG Salihreis is the first ship of this class to receive this new radar in 2012. They have very modern command, communication, control and information (C3I) systems. The integration of ASIST helicopter landing aid system enables this class to operate Seahawk helicopters.